Frankie was a completely normal pet goldfish . . . until Tom's evil-scientist big brother, Mark, tried to murder him with toxic gunge! 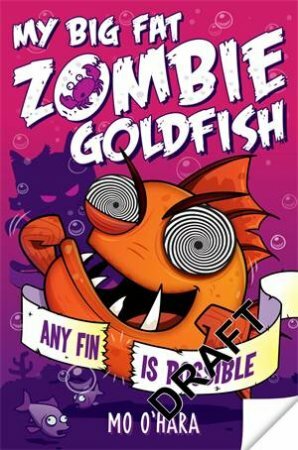 Luckily Tom and his best friend Pradeep shocked Frankie back to life with a battery, and he's been their zombie-fishy friend ever since. At the medieval re-enactment centre, some-fin very weird starts going on. One of the knights is acting very suspiciously . . . and Tom is sure he's seen his evil big brother's vampire kitten lurking around. Can Pradeep and Tom work out what Mark is up to without revealing Frankie's secret zombie skills? 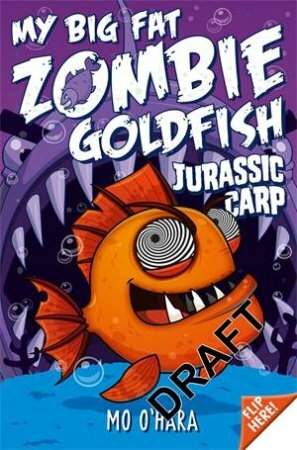 In story two, what starts as a school trip to an archaeological site ends up with a monster on the loose - when Tom's and Pradeep's evil big brothers manage to clone a Jurassic carp! Can the boys and Frankie stop the monster from taking over the oceans . . . and the world?